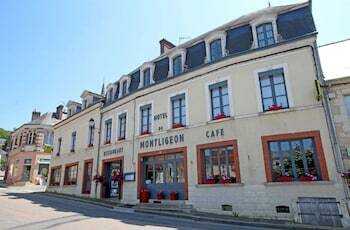 Located in La Chapelle-Montligeon, Hotel Restaurant Du Montligeon is within a 15-minute drive of Sanctuaire Notre-Dame de Montligeon and Church of Saint -Barthelemy-Pin La Garenne. With a stay at Hotel Bristol Union in Saint-Malo (Intra Muros), you'll be steps from St. Malo Citadel and St. Vincent Cathedral. Self parking (subject to charges) is available onsite. With a stay at this apartment in Sete, you'll be minutes from Theatre of the Sea and Paul Valery Museum. Free self parking is available onsite. When you stay at INTER-HOTEL Bressuire Plume Hôtel in Bressuire, you'll be within a 10-minute drive of Bressuire Castle and Bressuire Notre Dame. Free self parking is available onsite. Located in Ascain, this bed & breakfast is a 4-minute drive from Chantaco Golf Club and 8 minutes from Port de Saint-Jean-de-Luz. Free self parking is available onsite.